I was visiting at my sister's house in Atlanta and I noticed the morning sun pouring in her kitchen window. 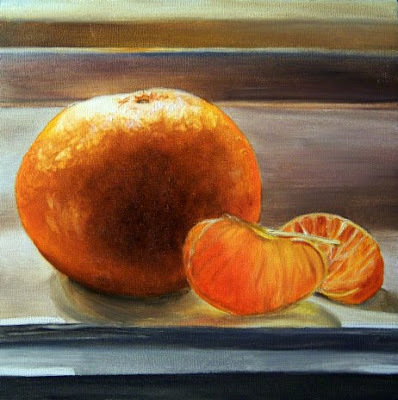 I just couldn't resist painting this picture of her window sill with these oranges. 6x6 oil painting on panel. This is 3/8" thick and has a special hole in the back so this can be hung with or without framing.